Soap making is so much fun – nearly as much fun as making bread, but not quite. As I have said before, there is no greater delight than sitting on the floor in front of your oven with a glass of red wine, watching your bread rise. But we are talking about soap today. When you start out, you think it is going to be a cheap hobby… but then you want colours and perfumes and, oh, some glitter would be nice, as would some different shaped moulds and a cutter and… Luckily, Aussie Soap Supplies is not too far away. My first batch was neither scented nor coloured. It was a creamy, yellow soap. I then decided I wanted to add fragrances. 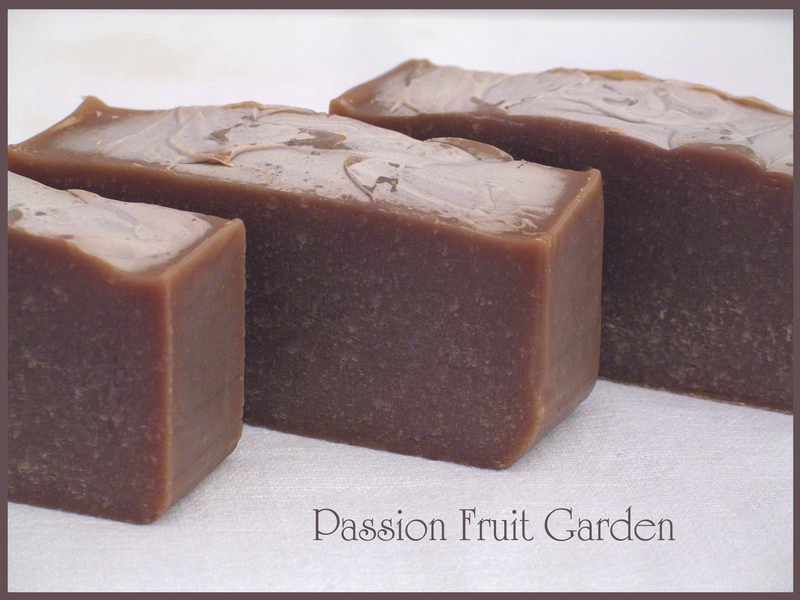 I quickly learned I love all the fragrances containing vanilla and vanilla turns your soap brown. 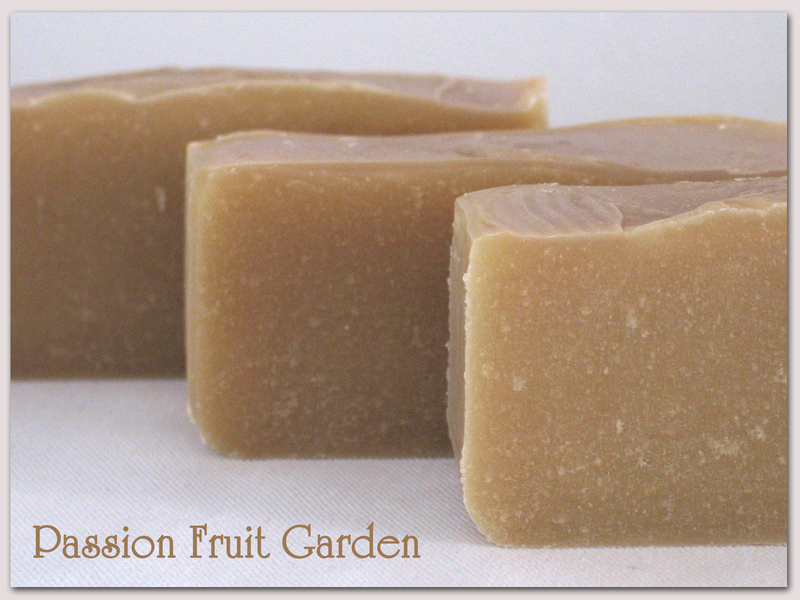 As a result, I made several batches of brown soap. I then got the urge for white soap and then thought some white soap with swirls would be nice. A quick search of the internet and I learned that titanium dioxide, added to your soap at trace, will make it white. You make up a concoction of one teaspoon titanium dioxide to about 70 mils of a carrier oil, like olive oil. This is mixed with a mini mixer or milk frother. You add one teaspoon of this concoction to your batch at trace. Just remember, next time you want to use it, give it another whizz with your mini mixer. It really does lighten your soap. I am very happy with the white of this batch. For the contrast, I decided on two shades of Brazilian purple clay. I made up two little bowls: one with one teaspoon and the other with two teaspoons of the Brazilian purple clay. I added 20mils of olive oil to each. I mixed them up with my mini mixer. If you mix up colourants like this, remember to take 40 mils of olive oil from your recipe. Next, I decided to pour the different colours through a funnel. Maus made me this wonderful contraption to control the pour. I am pretty happy with this batch. I got some interesting effects, although they could have been much better. As you can see from the photos, I didn’t get any distinction between the two Brazilian clay batches. Next time I use clay, I will use two different colours for the batches, with one teaspoon in each batch. The fragrance I used was Bramble Berry Eden’s Garden. I chose it because it doesn’t discolour the soap. Eden’s Garden, however, accelerates trace (makes your soap set faster). Luckily, I read this before I started and Maus helped me with the pouring. As you can see from the photo below, the last drops were pretty thick, but I quite liked the effect so I didn’t bother smoothing it. Here is the recipe I used, if anyone is interested. It is from Anne Watson’s book, Smart Soapmaking. I added 1 x 20mil tablespoon of Bramble Berry Eden’s Garden in each batch. Another little experiment, just for fun. About three months ago, I made a half batch of the above recipe to see the effect Bramble Berry Chocolate, Italian Spice fragrance would make. I added 20 mils of the fragrance. The soap started out cream in colour. This is what it looked like a few days later. This is what it looks like now. This soap has no colourant in it. It is just the discolouration from the fragrance. See what I mean? I am in for a lot of brown soap. The white stuff on the top of the soap is soda ash. It is fine but not that pretty. I have bought some isopropyl rubbing alcohol to spray on my next batch. 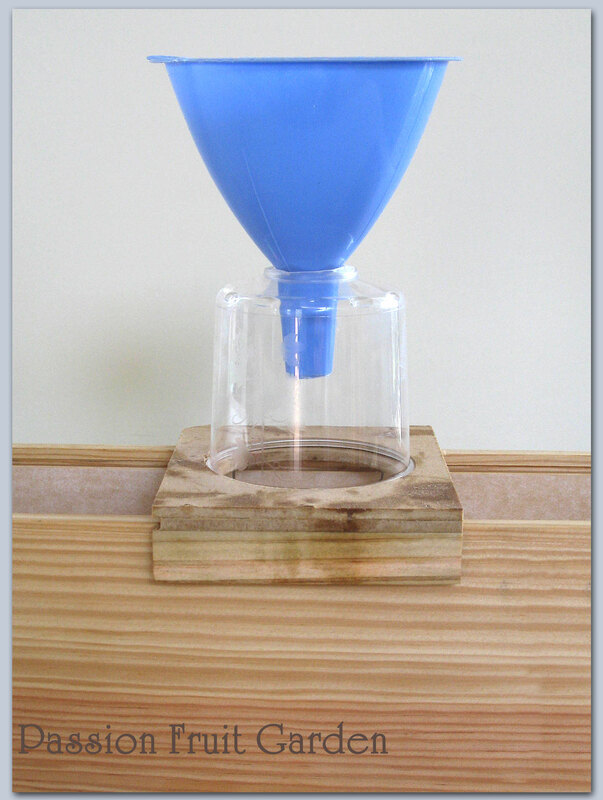 It is supposed to decrease soda ash formation. 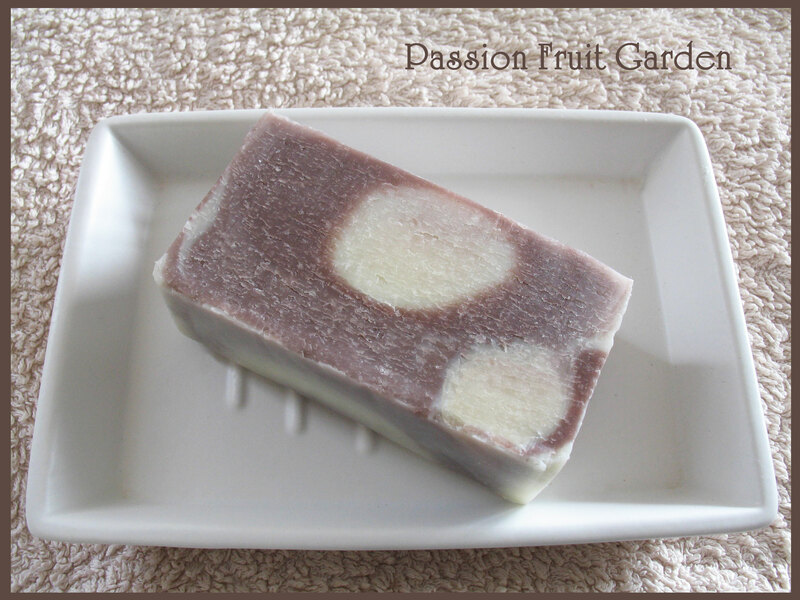 This entry was posted in Soap making and tagged Bramble Berry Chocolate Italian Spice, Bramble Berry Eden's Garden, Brazilian purple clay, Cold process soap pourer, Soap making for beginners, Titanium dioxide by Glenda. Bookmark the permalink. I like the colours, no colours and brown soap… and the textured top 🙂 Fragrance is more important to me than appearance, and if soaps are coloured I check the label for additives. Hi Ella, these are all natural. Brown soap sounds rather unappealing but your photo makes it look OK and it co-ordinates with your towels. Love the polka dot soap. Hi Anne, I am getting better, it is amazing the progress in such a short time. Thanks Kay, I am slowly getting better, I really do like it as a hobby. Glenda what are the virtues in home making soap, are there any harmful ingredients commercial soap contains that you are able to leave out. Apart from nice shapes and colours and possible gift ideas how natural is it? I tend to use ‘non soap’ Sorbelene in a bottle and provide liquid soap for guests as with these you only use as much as you need. 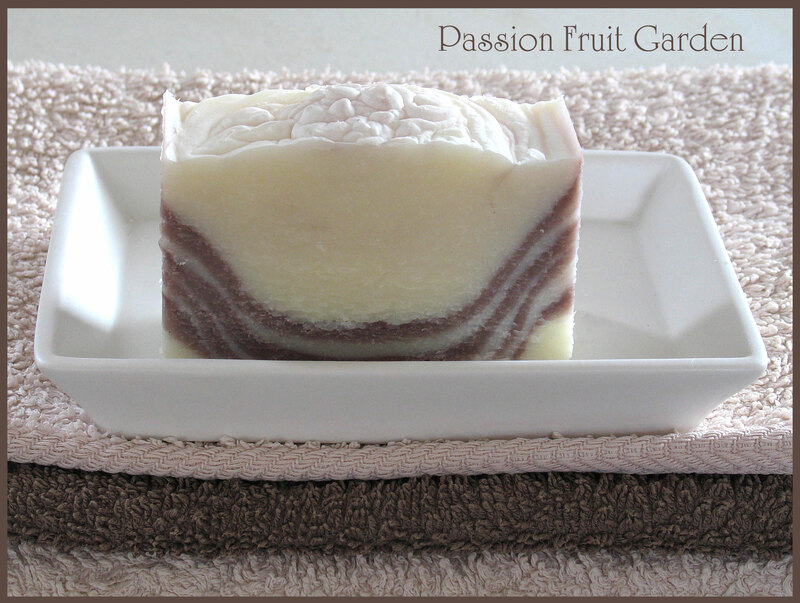 Soap bars never get fully used and look grungy after a few uses. However yours do look appealing as a gift idea. Hi Ros Soap is basically caustic soda, water and fat. Commercial soap has lots of other things in it, but I don’t know that they are bad for us. If you are making home made soap you can add whatever luxury oils you wish and vary the ingredients for hardness, creaminess, suds etc. If use natural colourants and essential oils that is as natural as you can get. I use natural colourants but synthetic fragrances. Most people make soap as it is fun and you can vary the look of it in so many ways. I hate liquid soap, in the shower. I offer our quests liquid soap and small hotel size soap bars. I think that the white stuff is more likely to be sodium bicarb or perhaps even sodium sesquicarbonate. Or at least it will become that way in time. Soda ash, being highly alkaline, will absorb carbon dioxide from the atmosphere, to form sodium bicarbonate, particularly if there is any moisture available. Hiya Morrie, This is what my book says “White powder on top of your soap is usually soda ash. Soda ash is sodium carbonate that forms when the sodium hydroxide in the soap contacts the carbon dioxide in the air.” Watcha think? I suppose it might be in the first instance, but sodium carbonate will eventually absorb more carbon dioxide. That’s why you get deposits of sodium bicarbonate and sesquicarbonate (trona) in nature. The absorption of carbon dioxide by soda ash is known as weathering. Morrie, it is too complex for me. What do you think of the suggestion of spraying the soap with isopropyl rubbing alcohol to decrease its formation? That is what the soap books suggest. I can’t see why that would work really Glenda, but I guess they have some practical experience that says it does. I’ll ask some chemist friends. Wow I’m impressed, your soaps look beautiful!